Combine first 7 ingredients in a blender until smooth. Gradually add olive oil in a thin, steady stream until emulsified. Season with salt and pepper, to taste. 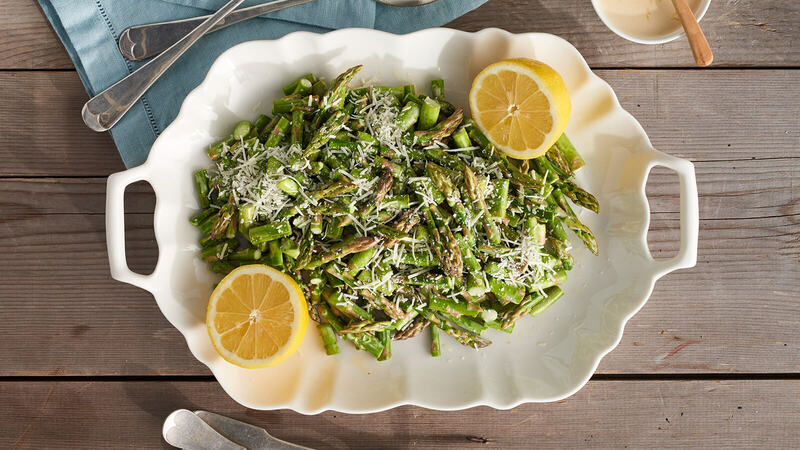 In a medium bowl, toss asparagus with the dressing, then remove to a serving platter. Top with grated Parmigiano Reggiano cheese.